In honor of Kiepersol being at San Antonio's Tango of the Vines this weekend, we wanted to share with you a wine story that you may not know has San Antonio roots. Our Bridge Mengsel and Bridge Sweet Mengsel wines have a historic photograph label that comes from the photo album of our founder's grandfather. This bridge in the photo is the Navarro St. Bridge circa 1917 and is the exact spot where Julius van der Weider said goodbye to his Texas sweetheart and went off to the war in Europe. We have recounted his life adventures for you to enjoy. 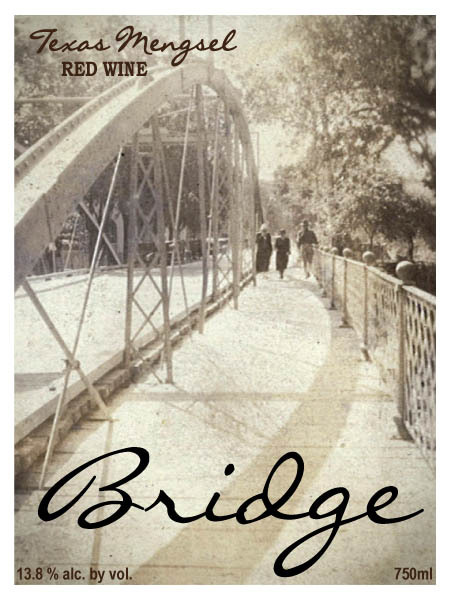 To read the full story of love and loss in World War I, bringing us full circle from Texas to Europe and South Africa, and back to Texas again, visit kebridge.com.